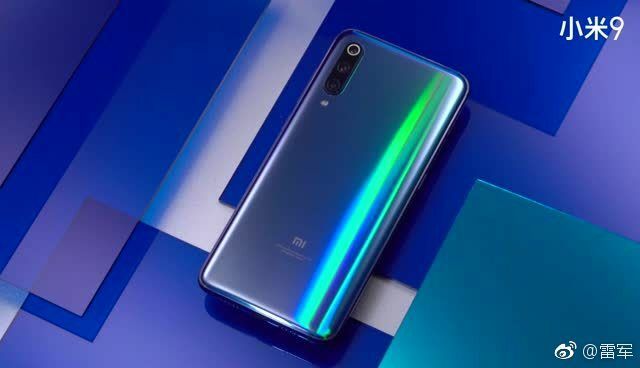 Xiaomi has shared the official renders of the Mi 9 smartphone ahead of its official launch on February 20th in China (February 24th, globally). The post shared by the company’s founder Lie Jun on Weibo (and later by Xiaomi Senior Vice President Wang Xiang on Twitter) shows the handset’s back panel. 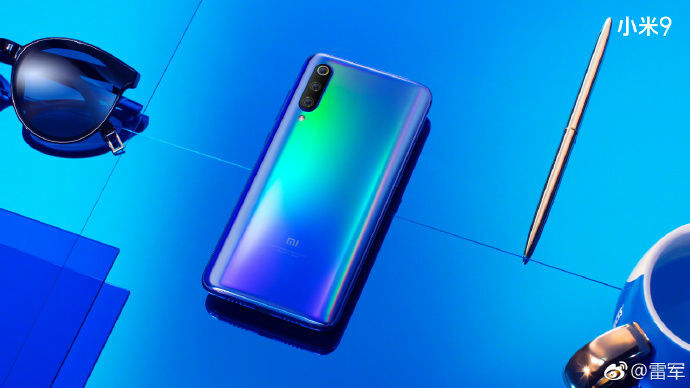 The images largely reveal the back panel of the Mi 9 smartphone, which has a gradient finish and glass casing. The handset seems to have a blue/ purple hue that changes to green or mint green and even a shade of red when the light hits it at an angle. Xiaomi claims that it managed to create such design using nano-level laser engraving holographic technology and dual layer nano-coating. 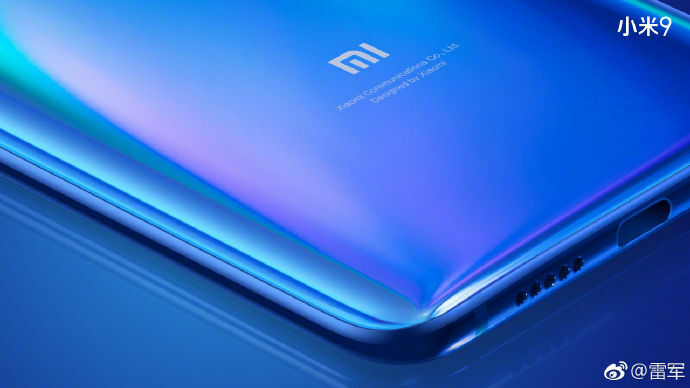 As confirmed by the leak – followed by a teaser, Mi 9 will flaunt triple rear cameras (vertically-aligned) at the top-right corner with LED flash just below. Furthermore, the image reveals hardware buttons on both the edges of the phone. These could be the power button, volume rocker, and a button for Xiaomi’s virtual assistant Xiao Ai. The bottom edge of the phone sports speaker grills, with the USB Type-C port sandwiched in between. The absence of a cutout for a biometric sensor also corroborates the fact the smartphone will come with an in-display fingerprint sensor. The handset will be the flagship smartphone from the maker and a successor to last year’s Mi 8 smartphone series. Hence, the Mi 9 is expected to come with Qualcomm’s latest 7nm Snapdragon 855 chipset, paired with up to 8GB of RAM and 256GB of storage; a special edition model. It may feature a 6.4-inch dewdrop notch FHD+ display and a 3,500mAh battery with 27W fast charging support. 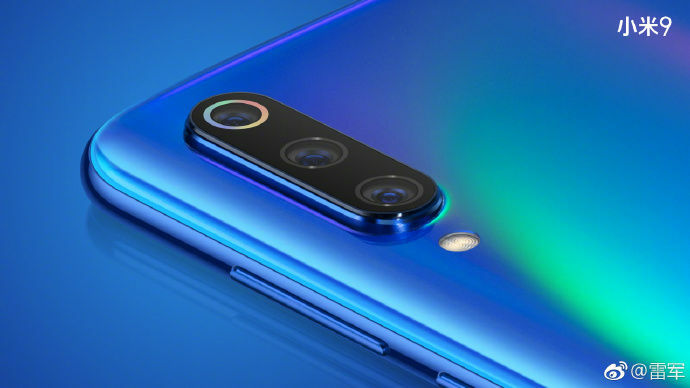 For photography, the handset’s triple rear cameras are said to arrive with a whopping 48-megapixel primary sensor, accompanied by a depth sensing shooter and an ultra-wide angle lens.